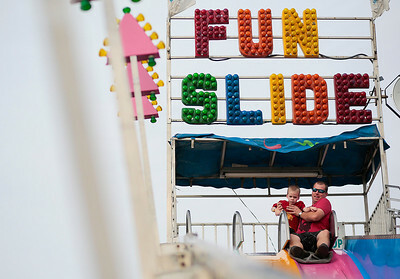 Lathan Goumas - lgoumas@shawmedia.com Rachel Peterson, 11, and Grace Levin, 11, ride the Matterhorn carnival ride during the Crystal Lake Centennial Kick-Off Festival at Three Oaks Recreation Area in Crystal Lake, Ill. on Saturday, Sept. 21, 2013. 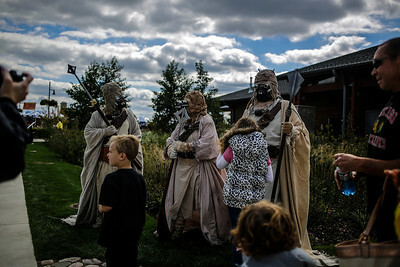 Lathan Goumas - lgoumas@shawmedia.com People dressed as sand people from the movie Star Wars pose for pictures during the Crystal Lake Centennial Kick-Off Festival at Three Oaks Recreation Area in Crystal Lake, Ill. on Saturday, Sept. 21, 2013. 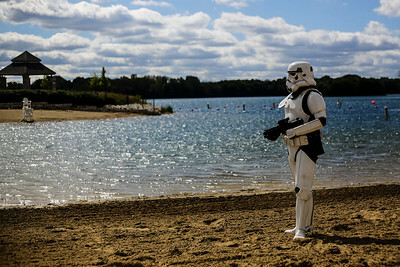 Lathan Goumas - lgoumas@shawmedia.com Kevin Skiera stands on the beach dressed as an Imperial Stormtrooper from the film Star Wars during the Crystal Lake Centennial Kick-Off Festival at Three Oaks Recreation Area in Crystal Lake, Ill. on Saturday, Sept. 21, 2013. 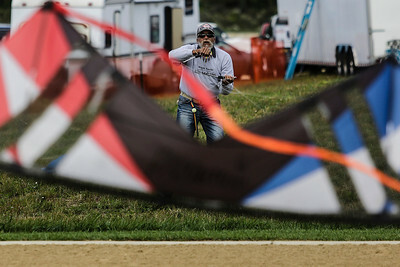 Lathan Goumas - lgoumas@shawmedia.com Chris Stubblefield of Chicago flies a kite during the Crystal Lake Centennial Kick-Off Festival at Three Oaks Recreation Area in Crystal Lake, Ill. on Saturday, Sept. 21, 2013. 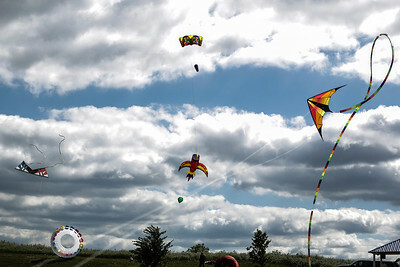 Lathan Goumas - lgoumas@shawmedia.com Kites fly during the Crystal Lake Centennial Kick-Off Festival at Three Oaks Recreation Area in Crystal Lake, Ill. on Saturday, Sept. 21, 2013. 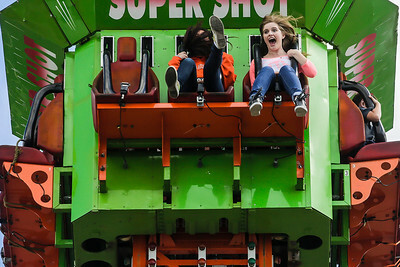 Lathan Goumas - lgoumas@shawmedia.com Hair flies in the face of Grace Goze, 14, while Kelly Tobin, 14, screams as the two drop while riding a ride at the carnival during the Crystal Lake Centennial Kick-Off Festival at Three Oaks Recreation Area in Crystal Lake, Ill. on Saturday, Sept. 21, 2013. 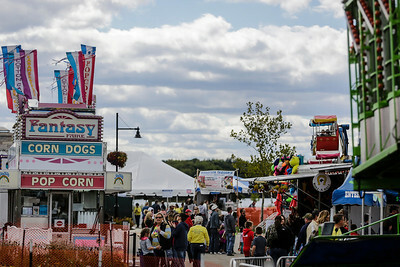 Lathan Goumas - lgoumas@shawmedia.com People fill the midway at the carnival during the Crystal Lake Centennial Kick-Off Festival at Three Oaks Recreation Area in Crystal Lake, Ill. on Saturday, Sept. 21, 2013. Kyle Grillot - kgrillot@shawmedia.com Tom Smith holds Cameron Smith, 1, as they slide down the Fun Slide during the Crystal Lake Centennial Kick-Off Festival at Three Oaks Recreation Area Friday, September 20, 2013. 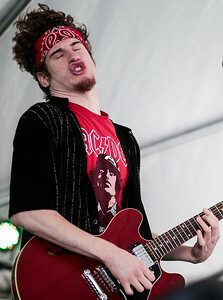 The festival is part of the celebration of the 100th birthday since Crystal Lake's incorporation as a city, and will continue until Sunday at 6 p.m.
Kyle Grillot - kgrillot@shawmedia.com Jimmy Nick performs with his band Jimmy Nick and Don't Tell Mama during the Crystal Lake Centennial Kick-Off Festival at Three Oaks Recreation Area Friday, September 20, 2013. 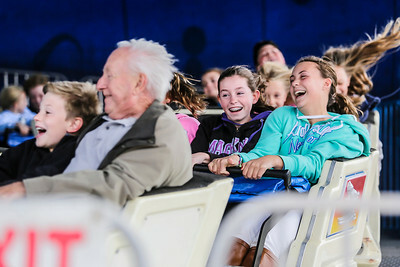 The festival is part of the celebration of the 100th birthday since Crystal Lake's incorporation as a city, and will continue until Sunday at 6 p.m.
Kyle Grillot - kgrillot@shawmedia.com Addison Smith, 5, Grace Mertel, 5, and Kelly Mertel all of Crystal Lake ride the Zero Gravity ride during the Crystal Lake Centennial Kick-Off Festival at Three Oaks Recreation Area Friday, September 20, 2013. 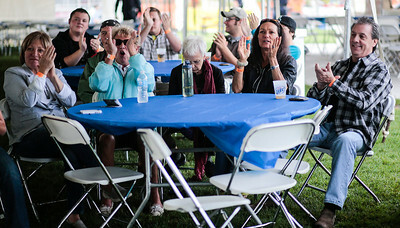 The festival is part of the celebration of the 100th birthday since Crystal Lake's incorporation as a city, and will continue until Sunday at 6 p.m.
Kyle Grillot - kgrillot@shawmedia.com The crowd applauds the Jimmy Nick and Don't Tell Mama band during the Crystal Lake Centennial Kick-Off Festival at Three Oaks Recreation Area Friday, September 20, 2013. 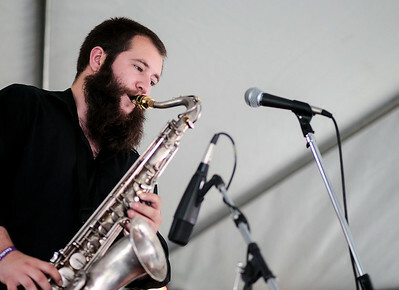 The festival is part of the celebration of the 100th birthday since Crystal Lake's incorporation as a city, and will continue until Sunday at 6 p.m.
Kyle Grillot - kgrillot@shawmedia.com Ben Thompson performs with the Jimmy Nick and Don't Tell Mama band during the Crystal Lake Centennial Kick-Off Festival at Three Oaks Recreation Area Friday, September 20, 2013. 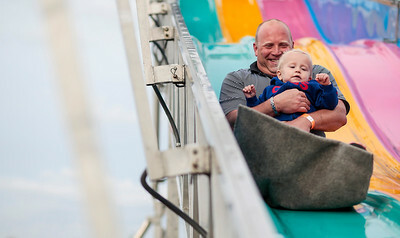 The festival is part of the celebration of the 100th birthday since Crystal Lake's incorporation as a city, and will continue until Sunday at 6 p.m.
Kyle Grillot - kgrillot@shawmedia.com Dustin White lifts his son Ethan White, 4, before they slide down the Fun Slide during the Crystal Lake Centennial Kick-Off Festival at Three Oaks Recreation Area Friday, September 20, 2013. 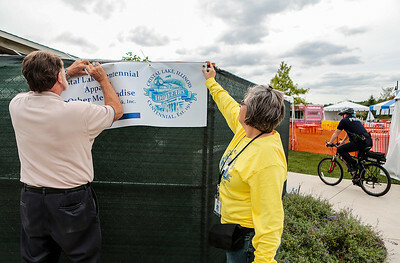 The festival is part of the celebration of the 100th birthday since Crystal Lake's incorporation as a city, and will continue until Sunday at 6 p.m.
Kyle Grillot - kgrillot@shawmedia.com Fred Kaiser (left) is helped by Carrie Futchko while putting up a sign at the Crystal Lake Centennial Kick-Off Festival at Three Oaks Recreation Area Friday, September 20, 2013. 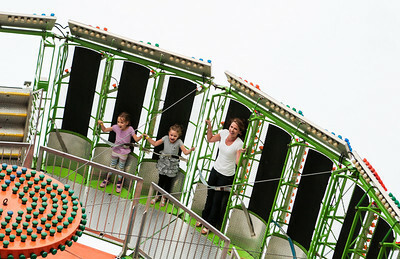 The festival is part of the celebration of the 100th birthday since Crystal Lake's incorporation as a city, and will continue until Sunday at 6 p.m.
Addison Smith, 5, Grace Mertel, 5, and Kelly Mertel all of Crystal Lake ride the Zero Gravity ride during the Crystal Lake Centennial Kick-Off Festival at Three Oaks Recreation Area Friday, September 20, 2013. 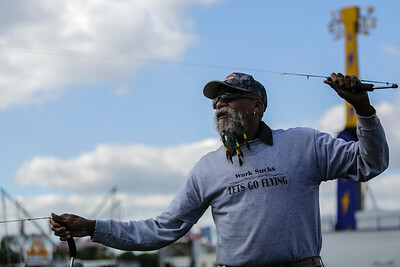 The festival is part of the celebration of the 100th birthday since Crystal Lake's incorporation as a city, and will continue until Sunday at 6 p.m.